You Are Here:Home / Natural Abilities / Natural Abilities In Real Life: What Does Personal Style Look Like? Natural Abilities In Real Life: What Does Personal Style Look Like? 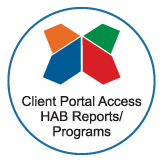 The Highlands Ability Battery (HAB) includes 19 worksamples and measures natural abilities on 17 continuums. (Click here for a complete list of natural abilities.) The first three continuums, which we’re covering here in this post, encompass Personal Style or how you do the things you do. 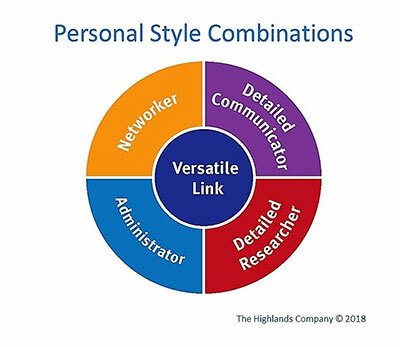 When you understand your Personal Style, you’ll have a clearer picture of your ideal work environment. Generalist VERSUS Specialist: Specialists prefer to focus their interests and efforts in a select few areas or topics, and go deep in mastering them. They want to be viewed as an expert by others and naturally work autonomously or independently. 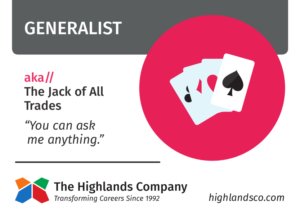 A Generalist prefers a variety of topics, people, skills, and experiences. Generalists naturally work through and with others, enjoy consensus when they can get it, and like to share responsibility and acknowledgment to accomplish their work. Mid-range Generalist-Specialist (when you’re a little bit of both):Taking both a mile-wide and a mile-deep approach, as a mid-ranger you can overwhelm yourself if you’re not careful. You fluidly interact with Generalists AND Specialists, often unconsciously serving as an interpreter between them. This mid-range style provides the greatest flexibility and will require outlets for both. Extrovert VERSUS Introvert: Extroversion and Introversion are preferences for how you like to get your mental and physical stimulation socially. It also has a considerable impact on how you do your best thinking. 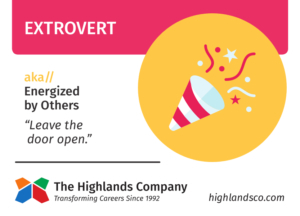 Extroverts are stimulated and energized more from being with people and do their thinking by talking with others. Introverts enjoy being alone or in smaller groups and do their best thinking reflectively or internally before sharing their thoughts with others. While Extroverts enjoy unstructured interactions, Introverts prefer having a reason to interact and to know in advance what they’ll be expected to talk about. 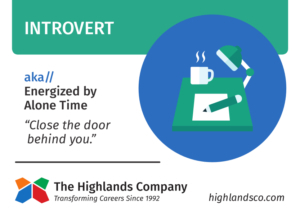 Mid-range Extrovert-Introvert or “Ambivert” (when you’re a little bit of both): Requiring a balance of social and alone time, and sometimes thinking out loud or reflectively, Ambiverts can sometimes confuse the people around them. After all, peers and co-workers don’t know who’s going to show up! No worries. If you are an Ambivert, a little explaining of your flexible style allows you to adjust to those are around you, often providing the much-needed counterbalance. Short Time Frame Orientation VERSUS Long Time Frame Orientation: Short Time Frame Orientation (6-12 mos.) is more about being driven to immediate actions and bringing closure in the short-term. Short Time Frame Thinkers thrive on targets that require immediate decisions. 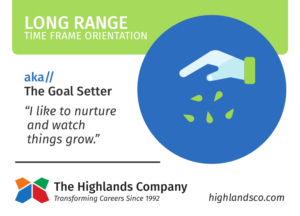 Long Time Frame Orientation (5-10 years) requires more strategic longer-term thinking and planning. Having a target you’re moving toward and knowing that what you’re doing now is connected to something in the future is what keeps you going. 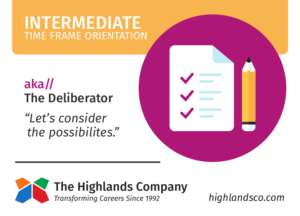 Intermediate Timeframe Orientation: Naturally focused on targets 1-5 years down the road is right up your alley. Four years of college to graduation, developing and maintaining business relationships, developing a product or business all fit within this timeframe. Knowing your natural abilities is one thing, but applying them to your situations in life and at work is where the real magic happens. 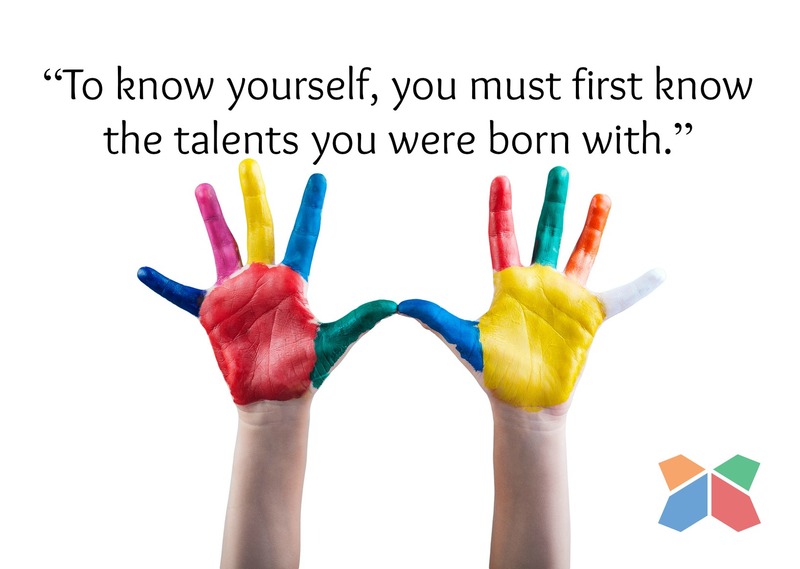 Understanding how you are naturally inclined will reveal how you interact with others best. 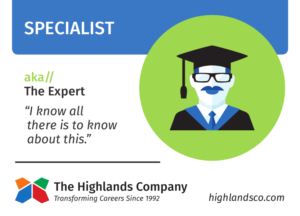 Take a look at these examples from two Highlands Certified Consultants for a better understanding of these concepts and to see some real life “a-ha” moments. Dr. Tom Tavantzis of IMD Leadership recalls a group HAB feedback with a 17-member team of senior director level scientists at a global pharmaceutical company in Germany. During the feedback, they made a remarkable discovery around Time Frame. 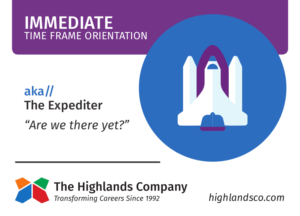 Fifteen team members were Immediate Time Frame Thinkers and two team members were Long Time Frame thinkers. It became clear that the team, while great at crises and putting out “fires,” often put strategic thinking on the back burner. The group unconsciously and naturally framed problems in the near-term, immediacy…except for the two members who were Long Time Frame Thinkers and, therefore, more strategic in their thinking. 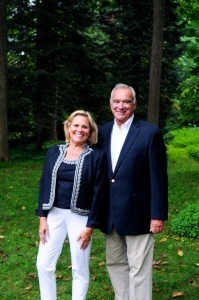 When these two were asked how the discussion usually went for them, they both agreed that when they tried to voice a longer-term (how to fix the problem from constantly reoccurring) perspective, they usually felt overrun by the group for an immediate fix! The astute senior VP leader of this team pounced on this as an immediate area of improvement—He was, after all, one of the Immediate Time Frame Thinkers!—as he realized he could mobilize the team to make better decisions by including all perspectives. 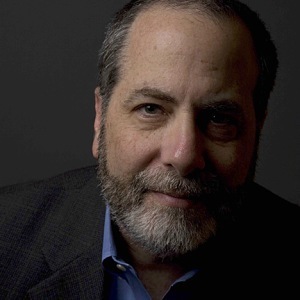 In this case study, Highlands Certified Consultant Michael Cerreto of A Talented Mind, Inc. reflects on Public Performers. You know, the people we watch in concert halls, stadiums, and conference rooms. Underlining their hours of practice and study are two personality characteristics that fuel a Public Performer’s desire to perform their expertise in the public eye. They are typically Extroverted and Specialists. Because they are Extroverts, you may hear them say, “I could feel the audience’s energy.” As a Specialist, they will more readily put in the time to hone their singular expertise through practice and study compared to a Generalist. Almost all work is inherently performed in public one way or another, but the Public Performer seeks out audiences to share their love for a talent or topic. They want to walk off stage feeling as if their expertise moved people, changed minds, or inspired people’s soul. So, now that you know a little more about natural abilities, what abilities do you think you possess? Take the HAB to find out for sure.